Clean, shiny, polished shoes increase the confidence and joy of mind. It represents ourselves in any situation. The dullness of color, cracks, drying etc. change the condition of the shoes to wear again. As this is important to keep shoes looking like newer, we should shine them regularly. When the shoes get dull color, we tend to look for the barbers as most of us don’t know how to shine shoes the right way. But this is very easy to do the task at home. It’s going to be fun if you know the ways of shining shoes. First of all, take your shoes and wear hand gloves. Wearing gloves keeps dirt and polish or cream away from hands to create any stain on them. Remove the laces of your shoes and use a shoe tree to maintain the shape of the shoes. Now, you need a horsehair brush or soft piece of clothes to clean the dirt or dust from the shoes. You shouldn’t miss the welt, sole stitching of the shoes as these are the most neglected area. Clean them too. After cleaning the shoes, you should go for conditioning them. For conditioning shoes, you need a soft brush and shoe cream. Take a small amount of shoe cream and apply to the whole area of shoes. Rub the shoes for a couple of minutes and dry them. Conditioning shoes can be a necessary step if you want to prevent any cracking or drying. It’s time to polish your shoes. Before polishing the shoes, you need to know a few things. Shoe polish comes with various colors. You need to choose shoe polish matching to your shoe’s shades. First, take a small amount of shoe polishing cream with a small brush. To know the color matched or not, apply it in a smaller area. If you are satisfied with the color, then apply to whole shoes. Wait for few minutes to dry them. Don’t forget to put polish on the welt of the shoes. Take a larger brush to buff the shoes. 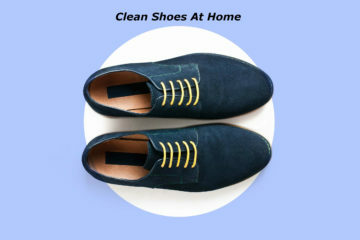 Wipe the shoes after buffing them with rag or piece of cloth. Now it’s time to finish the job. You can spit shine your shoes. Take a drop of water with your finger and touch the shoes with the water. Then rub that with a polishing cloth in a circular motion. Do it repeatedly for some more times. Wipe the shoes and let them dry. Remove the shoe tree and re-lace the shoes. Now you have done the task successfully in the simplest way. You can use polishing wax to use on calfskin or patent leather. For Napa or tumbled leather, choose polishing cream to apply. However, you need to remove dust from shoes regularly to reduce the amount of polishing or shining the shoes. Look for quality shoe shine products online those will bring the actual beauty of the shoes.